First it was"Let's Move! "Now, First Lady Michelle Obama wants Americans to "Drink Up." The new campaign is simply encouraging children and adults to head to the faucet or grab a bottle of H2O. "I've come to realize that if we were going to take just one step to make ourselves and our families healthier, probably the single best thing we could do is to simply drink more water," Obama said in a statement. "That's it -- it's really that simple. Drink just one more glass of water a day and you can make a real difference for your health, your energy, and the way you feel." "So Drink Up and see for yourself," she added. Obama is teaming up with the nonprofit Partnership For A Healthier America and beverage-makers to kick off the campaign Thursday in Watertown, Wisconsin. A new website, youarewhatyoudrink.org, was also launched Thursday. About 40 percent of Americans drink less than half of recommended amounts of water each day, and about 25 percent of kids under 19 drink no water at all, according to government statistics cited by campaign officials. The campaign is a partnership that includes local municipalities, water filter companies including Brita and Soma, public drinking stations like GLOBALTAP and bottled-water makers. The campaign doesn't promote one particular brand or type of water over the other. More than a dozen bottled water brands including Aquafina, Dasani, Deer Park, Nestle Waters, Voss, WAT-AAH and Poland Spring are involved. "Every company agreed to focus on just drinking water, not why their water is better," Larry Soler, CEO of the Partnership For A Healthier America, told reporters during a Wednesday conference call. The campaign won't shove anti-sugary drink messages down consumers' throats either, instead opting to focus on the positives associated with water. The American Beverage Association -- an industry group that often comes to the defense of beverage makers when research links sugary drinks to health woes and recently lobbied against New York City Mayor Michael Bloomberg's proposed limits on sugary drinks -- is also backing the Drink Up campaign. Sam Kass, senior policy advisor for nutrition policy at the White House and executive director of Let's Move!, explained that the campaign wants to take on a positive tone from start to finish, but pointed out the science and evidence about hydration's importance is well-established. "Water is the original energy drink," he said. "If you think about, 70 percent of our lean body mass is water," Dr. Michael Joyner, an anesthesiologist and physiologist at the Mayo Clinic in Rochester, Minn., said to CBSNews.com. Water is in our bloodstream, our cells and filling the spaces between these cells, he pointed out. "We really are living in water," said Joyner, who is not involved in the campaign. That means not enough water can affect many systems in the body. First, we need enough fluid in our bodies to control body temperature, a process which is called thermoregulation. If you're dehydrated, you reduce your ability to sweat and cool down your body, which could raise risk for heat exhaustion and heat stroke in hot weather. Also, the amount of blood volume decreases when we're dehydrated, Joyner noted, which can cause the heart not to pump as well, hindering the ability to maintain blood pressure and leading to fainting. Besides sweating, water is lost from going to the bathroom and even breathing -- think of a cold day when you can "see" your breath. But just how much water should we be drinking each day? The standard advice of eight 8-ounce glasses per day advice may not be an ideal for all. "Nobody knows where that old wives' tale came from," said Joyner. For example, someone working in an air-conditioned office won't need as much water to stay sufficiently hydrated as someone working in a protective suit in a factory. Joyner added drinking too much water can lead to hyperhydration, or water intoxication, a potentially deadly condition when too much water causes sodium levels in the body to drop, leading to seizures and brain damage. One expert questioned the point of the campaign, asking what one extra glass of water a day would do for most people who are sitting in offices and aren't exercising or doing strenuous work. "Ninety-nine percent of us are well-hydrated," Dr. Gerald B. Appel, director of clinical nephrology at Columbia University Medical Center in New York City, told CBSNews.com. An extra glass of water per day will just get excreted through urine, he said. "I am not in favor of recommending more water to people." If you want to ensure you're properly hydrated, a good rule of thumb is to pay close attention to your urine, and aim for clear urine at least once a day, said Joyner. Dark yellow urine is a sign you need to drink more water. Hydrate yourself before and after exercising, especially in hot weather. If you're sick, you may need more fluids to counter the ones you've lost from vomiting or diarrhea. But if you're going to start adding more water to your diet, Appel suggests you should let your doctor know first -- people with conditions like heart failure may lose too much sodium if they drink too much water. "There are a bunch of people who shouldn't be doing this," he said. 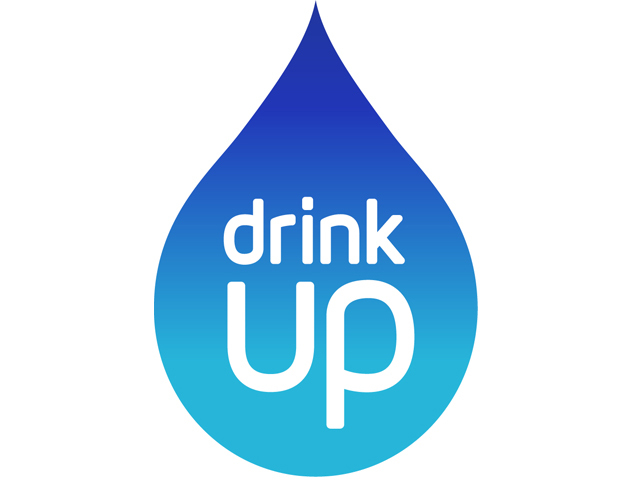 The Drink Up campaign will include a water drop logo that will be featured on select water bottles and drinking fountains. Public service announcements will also run on television networks, and several celebrities, including Eva Longoria, have joined the campaign and will encourage water drinking through social media. The campaign was described by officials as more of a "product launch" for water instead of a warning that not drinking water can imperil your health. "There are a lot of negative messages out there," said Soler. "We need a fun, engaging message."